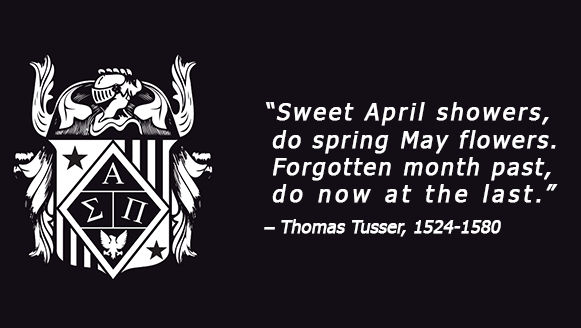 The phrase “April showers bring May flowers” has long linked the month of April with rain and dreariness. But it is also a reminder that even the most unpleasant of circumstances can bring forth positive opportunities. When you’re working toward a goal, there will be times when reaching the finish line will feel impossible. There will be days when you feel like a storm cloud is ever present. During those times, it is vital to remember that the greatest things in life come to those who are patient, optimistic and persistently pushing through the storm showers. So what should you do when the odds seem stacked against you? I recommend taking a deep breath and adopting a no-fail attitude. Don’t succumb to negativity, beat yourself up or say “I can’t,” because you can and you will. Forget about how many potential roadblocks you’re faced with, and push forward. Your dreams deserve your love and devotion - not fear and insecurity. Soon enough those failures will become your successes. The advice I want to leave you with this month is to keep moving forward, and know that the storms shall pass and reveal sunshine. Remember that when the odds are stacked against you and success seems like a remote possibility, you’re on the right path. This is a sign of your audacity, fortitude and tenacity. And by that measure, you’re already successful. Continue reading below in the Monthly Motivation section to learn what you should do when the odds are stacked against you. The Spring 2016 submission period closes Sunday, April 10, 2016. To see all of Fall 2015's winners, click here. 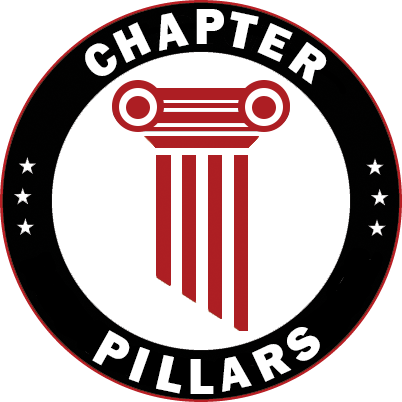 Pillars represent the 10 best practices of successful chapters. We are excited to recognize our chapters that have gone above and beyond by receiving the Founder's List and Order of Sigma awards this spring. Congratulations! 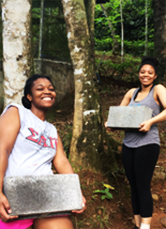 The Order of Sigma award is the Society's highest honor in our Pillar Program, reserved for Society Chapters who successfully completed all 10 pillars in the administration of their chapters. 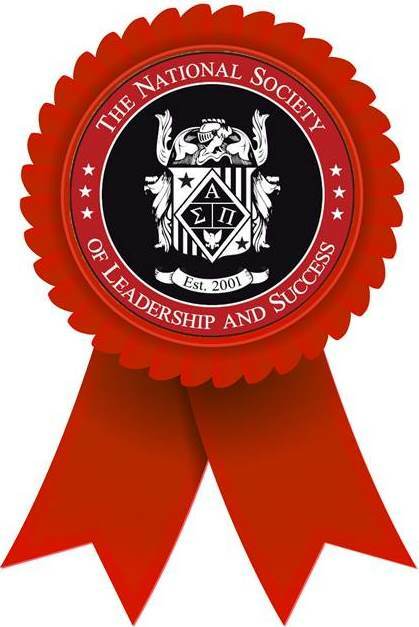 The Founder's List award is given to Society Chapters that successfully complete 8 out of 10 pillars. 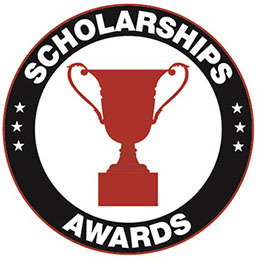 Stay tuned for the October Newsletter when we recognize our Fall 2016 recipients. Continue working towards your New Year's resolutions! The Society has partnered with MyYogaWorks, an online provider of on demand yoga classes, to provide members a discount of 50% off monthly subscriptions*. Whether you are a veteran yogi or want to try yoga for the first time, this is a great benefit to take advantage of to find your healthy mind, body and spirit as the semester progresses. MyYogaWorks is a carefully curated online yoga experience with over 900 online yoga classes that you can stream from your laptop, tablet, phone or TV. To take advantage of this offer, Visit MyYogaWorks and use the promo code LEADERSHIP. This offer is brought to you by YogaWorks, yoga experts since 1987. *Offer only valid on monthly subscriptions for the first 12 months. Redeem by 12/31/16. Cancel anytime. 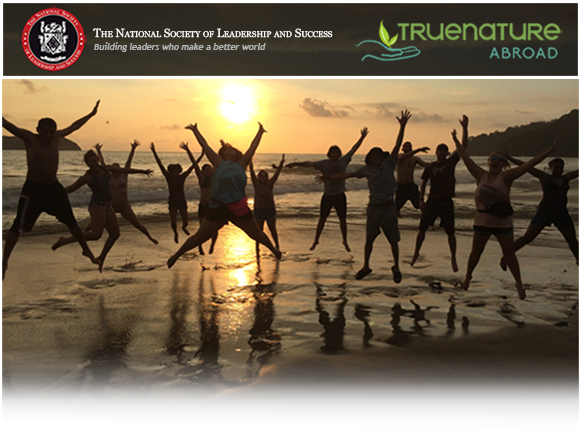 Given our relationship with True Nature Education, Society members receive a $350 discount off tuition. Lodging, transportation and meals are all included in your trip. 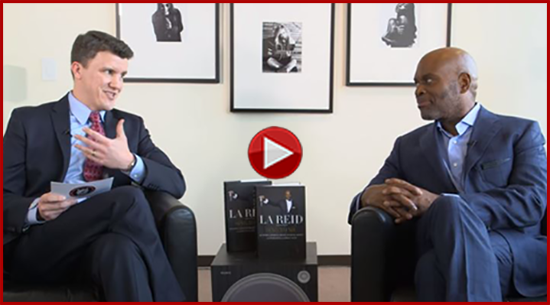 The Society is proud to present the latest episodes of our "Thought Leader Series", featuring LA Reid, Chairman & CEO of Epic Records and Mayor Svante Myrick of Ithaca, New York. Over the course of his illustrious career, Mr. Reid has worked with superstars such as Pink, Usher, Outkast, Avril Lavigne, TLC, Rihanna and Future. In this episode, he discusses, among other topics, discovering and cultivating your passion, his journey from artist to executive and the importance of surrounding yourself with a great team. At 24, Mr. Myrick became the youngest mayor ever elected in New York State history. In this episode, Mr. Myrick discusses topics such as overcoming homelessness and his father's drug addiction to achieve a nearly perfect SAT score, his admission to Cornell University and his career in politics. It's a truly inspirational journey that we're honored to share with you. 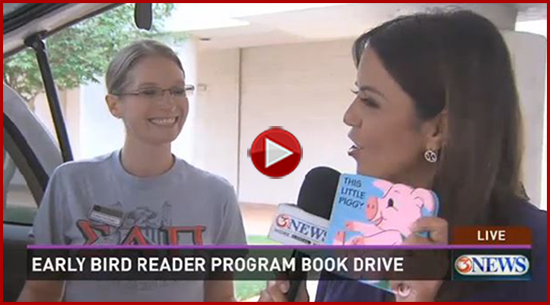 The Society chapter at Texas A&M University - Corpus Christi participated in the 9th annual Early Bird Reader Program Book Drive at the Kiii-TV Studios on Tuesday, March 29th. The chapter donated over 300 books, adding to the drive’s collected total of 3,220 books. All donated books will be used by the children in the Early Bird Reader Program. The Early Bird Reader Program is a unique collaborative effort between the community, schools, parents and students to insure all of the program’s children have the literacy skills required to successfully launch their school career. 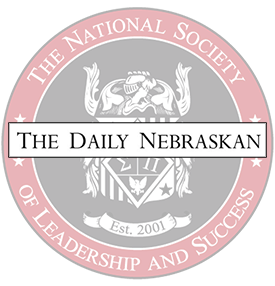 The Society chapter at the University of Nebraska - Lincoln held its first annual "Quiz for a Cause" on Tuesday, March 29th. Proceeds went to St. Baldrick’s Foundation, a charity that funds research to find a cure for childhood cancer. The Society chapter decided a trivia night would be a unique experience for students to raise money for cancer research. "Quiz for a Cause" allowed contestants to make a $5 donation to receive a cash prize of about $50 if they were part of the winning team. All of the donations went to the UNL Society chapter's account for St. Baldrick’s. 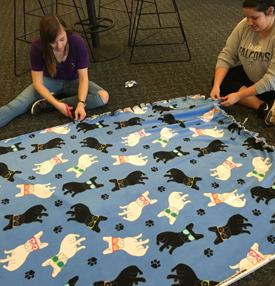 On Tuesday, March 8th, the Society chapter at Kent State University sponsored a blanket-tying benefit for the Ronald McDonald House of Akron. The Ronald McDonald House of Akron is a local charity that services Akron and its surrounding areas. Half of the 16 blankets created were donated to the Ronald McDonald House of Cleveland. 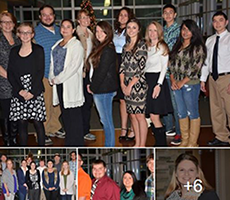 Southwestern Community College inducted 65 students at the college’s Jackson Campus. “Every one of these students, as well as their family and friends, should be extremely proud,” said Chapter Advisor Dr. Belinda Petricek. Click here to continue reading and to view more from this event. 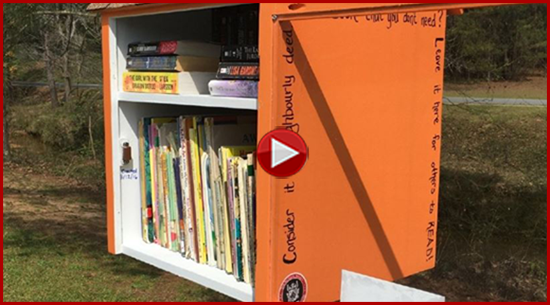 On Saturday, March 12th, the Central Georgia Technical College chapter of The National Society of Leadership and Success teamed up with Keep Warner Robins Beautiful to install the city's very first lending library at Fountain Park.